MAY 10 - 12 MOTHER'S DAY WEEKEND - Kids create a special gift for Mom. 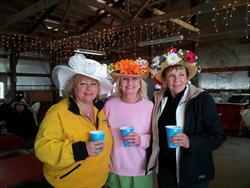 Willow Mill Derby (Kentucky Derby) Ladies Hat Contest and Horse Race. Evening - Women's Paint Night. Sunday - Come and enjoy a wonderful PANCAKE/WAFFLE BREAKFAST from 8:00 a.m. - 10:00 a.m. Mom's eat free; Remember, it is her day. MAY 17 - 19 BINGO - 7:00 p.m.
Sunday Evening - DANCE from 7:30-10:30 p.m. For the entire family. MAY 31- JUNE 2 BEAN BAG TOSS (corn hole) 10:00 a.m. behind the store. SCAVENGER HUNT - ADULT & KIDS 1:00 - 3:00 p.m.
JUNE 7 - 9 KICK BALL FOR KIDS - 1:00 p.m. Behind the store. JUNE 14 - 16 FATHER'S DAY WEEKEND - It is dad's turn to kick back. Kids create a craft item for dad. ANNUAL GOLF OUTING - Take dad out for a game of golf, a lunch at the campground and door prizes for all golfers. Saturday - BEAN BAG - behind the store - 2:00 p.m.
Sunday Morning - Treat dad to a wonderful PANCAKE/WAFFLE BREAKFAST - 8:00 a.m. - 10:00 a.m. Dad's eat free. JUNE 21 - 23 FISH BOIL - Get your tickets ahead of time. Serving from 5:00 - 6:00 p.m. Come watch the kettles boil over. 1:00 p.m. - Adults and Kids - Hungry Hungry Hippos (game); anyone can participate. At the store. Saturday (July 6) - 4th of July PARADE at 12:00 noon. 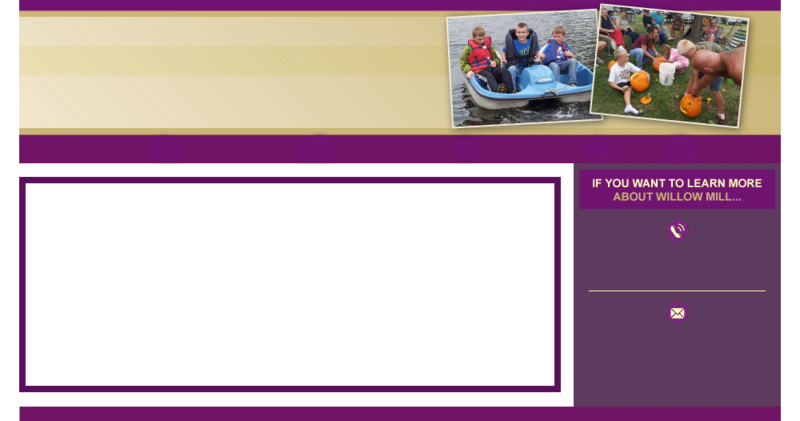 Theme is "SPORTS TEAMS" - Decorate bikes, golf carts, and adult & kids costumes. Winners will be announced at the dance. Saturday Evening - Dance from 7:30 - 10:30 p.m.
JULY 12 - 14 CRAFTS FOR KIDS - 10:00 a.m. in the Dance Hall. 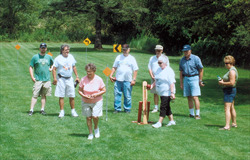 Stocking-Net Bowling - 3:00 p.m. - Get a team together and let's have some fun. Euchre - 7:00 p.m. in the Dance Hall. 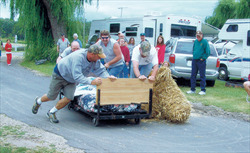 JULY 19 - 21 POWER NAP RACE (bed races) You won't want to miss this. Get a team of 5 together and be in the race. Beds are furnished. Dress your group up and make it fun. Yes, we do have rules for the race. Bingo - 7:00 p.m. in the Dance Hall. 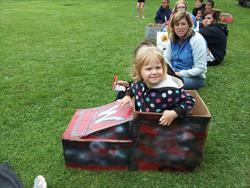 Cardboard Snowmobile Races will start at 2:00 p.m. Make a snowmobile out of cardboard and enter the race. Make it, wear it, run with it. Fun for all ages - prizes will be awarded. Big Hit! 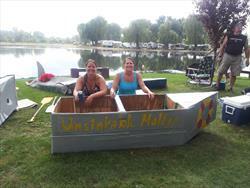 AUGUST 2 - 4 ANNUAL EMS FUNDRAISER - Put on by the campers at Willow Mill. Biggest Event of the Year. Money is raised this weekend for our Local EMS and Fire Dept.. Auction, raffles, social baskets, dance and much more. A demonstration sponsored by our local EMT's will also take place this weekend. Brat and Hamburger Fry - 11:00 - 3:00 p.m. in front of the store. AUGUST 9 - 11 CUSTOM CHAINSAW CARVING - by Richard Taft 11:00 a.m.
AUGUST 16 - 18 GRANDPARENT'S WEEKEND - Camp the weekend for only $50.00 with your grandkids. Must request special rate when making your reservations. Kids Carnival - 11:00 a.m at the main park. Take your best shot at the carnival games to win prizes. Petting zoo, pony rides, kids games, and fun food will be available. All kids under the age of 14 can participate. AUGUST 23 - 25 BEAN BAG TOSS - behind the store at 1:00 p.m.
"Day in the Park" - Starting at 9:00 a.m. Rummage sales and craft items will be on sale for you to view and purchase at individual campsites. 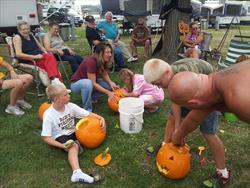 Annual Horseshoe Tournament - 10:00 a.m. Signup at the pits at 8:30 a.m.
Sunday - Cardboard boat races at 3:00 p.m.
Sunday Evening - End the weekend with a dance starting at 7:30 p.m.
Saturday - Pumpkin Carving Contest in the morning. Trick or Treating - 3:00 - 5:00 p.m. Kids costume contest before trick-or-treating at 2:00 p.m. Adult Costume Contest - 9:00 p.m. at the dance. Prizes will be awarded. Dance - from 7:30 - 10:30 p.m.
Saturday - 4:30 p.m. A bowl of chili sounds good this time of the year. Chili is furnished by the owners. Bring sandwiches or dessert to share. Eat to your heart's content. Door prize drawings for those weekenders who camp the last weekend of the season. Drawings for kids and adults.